NEW AT TABLETOP! LITTLE SHIRLEY VASES COME IN A WHOLE SPECTRUM OF COLORS! Each Little Shirley is made-by-hand from Washington clay, by highly skilled ceramic artists. Great care is taken to ensure that each vase is a one-of-a-kind piece of ceramic art. From start to finish, it takes about one week for a Little Shirley to be made. 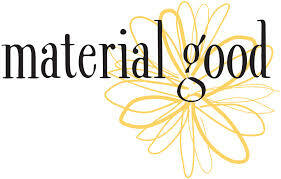 Material Good offers customers the opportunity to get and give back by providing affordable, hand-crafted ceramic art and donating ten percent of our profits to community organizations. SHE HAS AMAZING BALANCING SKILLS. Meet Lauren Burman (founder) who was inspired by her grandmother, Shirley Larson. When she was diagnosed with cancer, Lauren decided to do something positive to honor her. She decided to raise money to support cancer research and patient services, by giving people a tangible gift in return for their donation and Little Shirleys, were born out of this idea. STOP BY AND SEE THE LITTLE SHIRLEYS! EACH MONTH A DIFFERENT COLOR IS CHOSEN TO REPRESENT A DIFFERENT CHARITY. 10% OF THE PROFITS FROM SALES ARE DONATED TO THAT CHARITY.